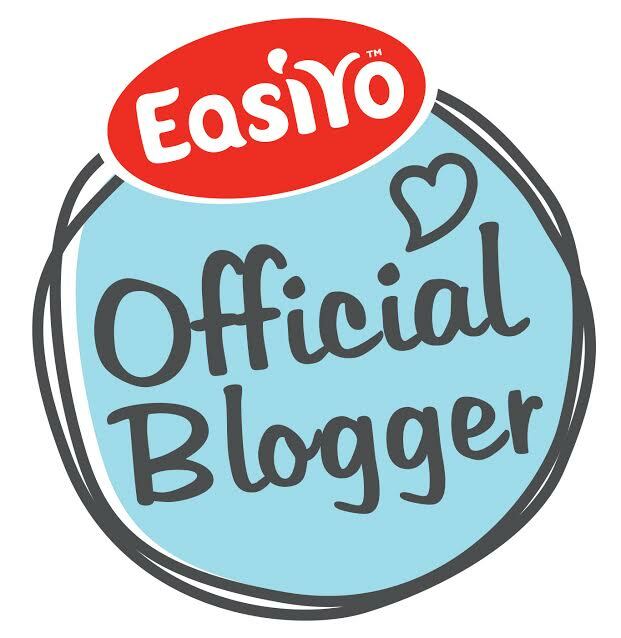 This weekend, we were lucky enough to get together with a wonderful bunch of bloggers for a day filled with outdoor fun and nature activities at the RSPB Rainham Marshes in Essex. 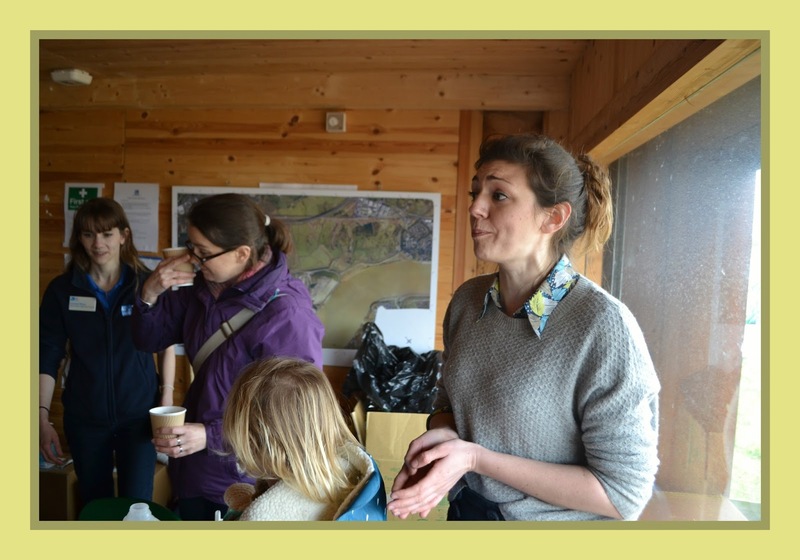 The purpose of the day, apart from the obvious goal of giving our children an exciting day in the glorious surroundings that are the marshes, was to meet Hattie Garlick, author of the new Bloomsbury publication Born to be Wild. "Big views, a big sky and wonderful wildlife." 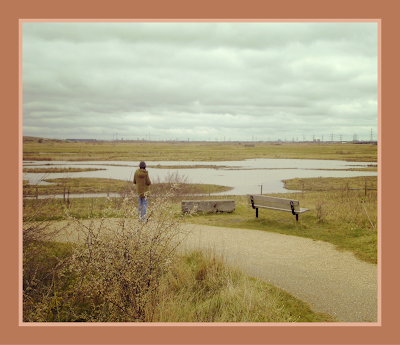 Rainham Marshes, part of the landscape of the Thames Estuary, is a medieval freshwater marsh since its original reclamation from the salty Thames. Sitting on the urban fringe of London, the Ministry of Defense used the land for nearly 100 years which inadvertently saved it from development. We live within a few miles of the marshes and have visited quite a few times. This time, however, we were taking the children for a day of educational fun, and they were really excited. 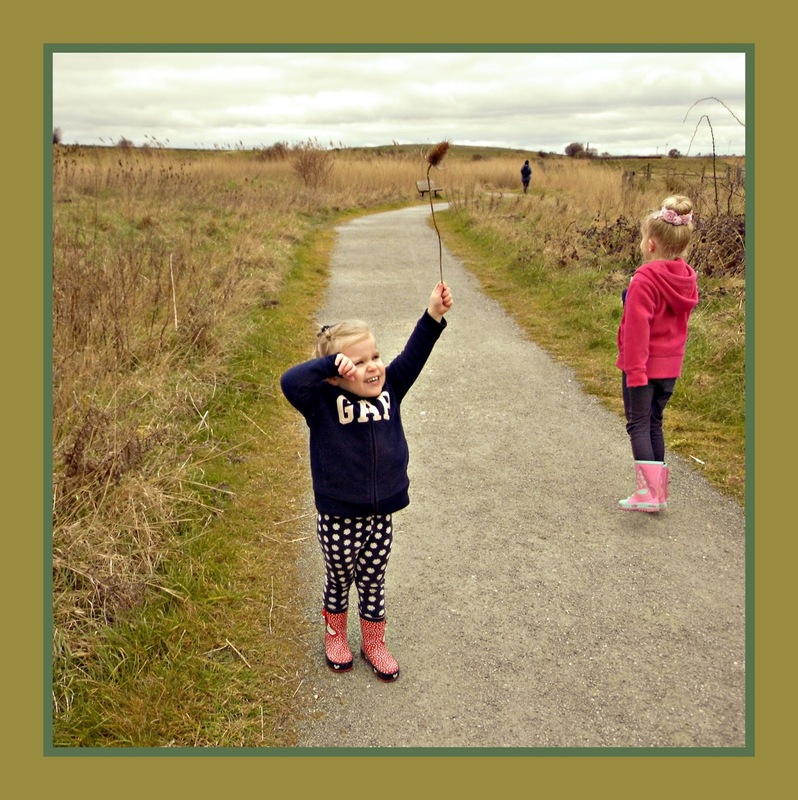 We were introduced to the different plants that grow along the walkways and encouraged to look closely for the small animals that may be seen scurrying amongst the undergrowth and the rare birds that make their nests around the marsh. 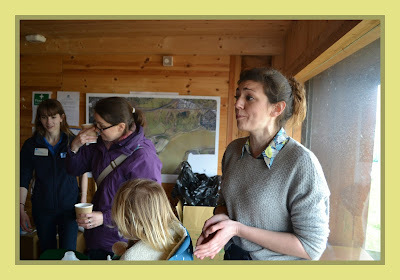 The path we took lead us to the RSPB Education Centre, where we stopped for a warm drink and to meet the lovely Hattie Garlick, author of the newly released Born to be Wild. We listened as she spoke about the hundreds of different ways in which we can entertain our children simply by enjoying what is around us in the natural world. After refreshments, the children were well and truly ready to get up close to nature, so we were directed to a grassy area just outside the Education Centre. 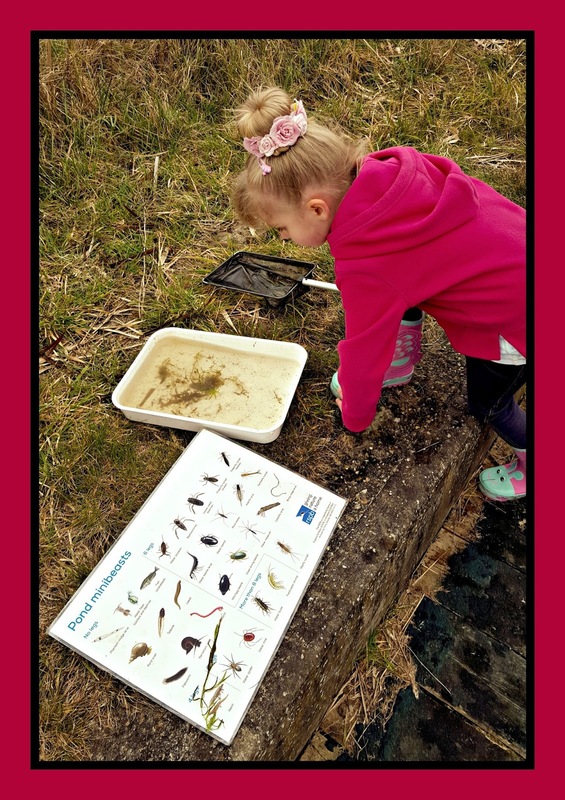 After spending some time running around, enjoying the surroundings, we all congregated near the small ponds where the children were able to do some pond dipping. 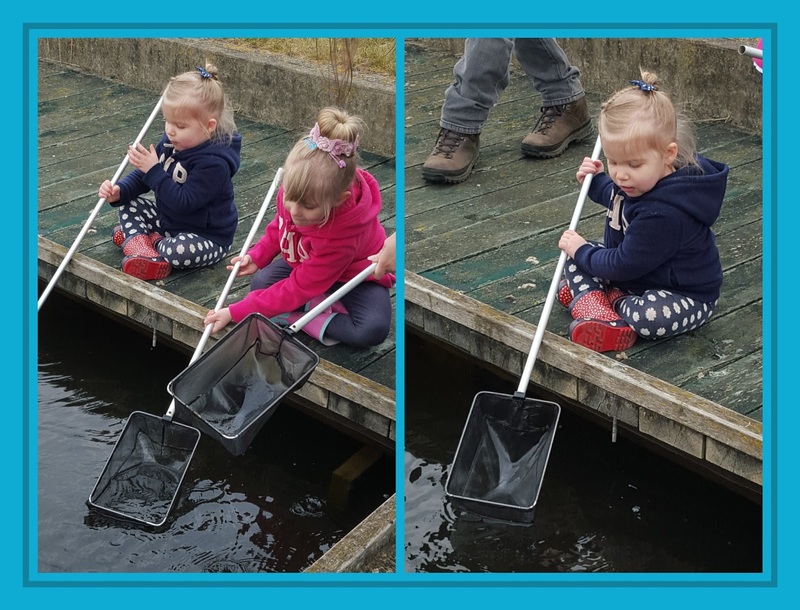 Munch and Beastie really loved gently emptying their nets to see the tiny creatures they had found! I think the girls could have sat there all day, dipping their nets. It takes a brave person to hand a net to Beastie and to expect it not to end up at the bottom of the pond! However, she only dropped it once, and was so happy when she spotted a little boatman swim from her net into the water tray! It was soon time to return back to the warmth of the Education Centre. The tables were now full of a huge variety of natural resources including flowers, twigs and soil as well as glue, paint, glitter and everything else the children may want to use to make Easter Trees. Every single one of the children became so engrossed in allowing their imagination to run free, and it was great to watch as they covered themselves in glitter and paint before proudly presenting their creations to each other. 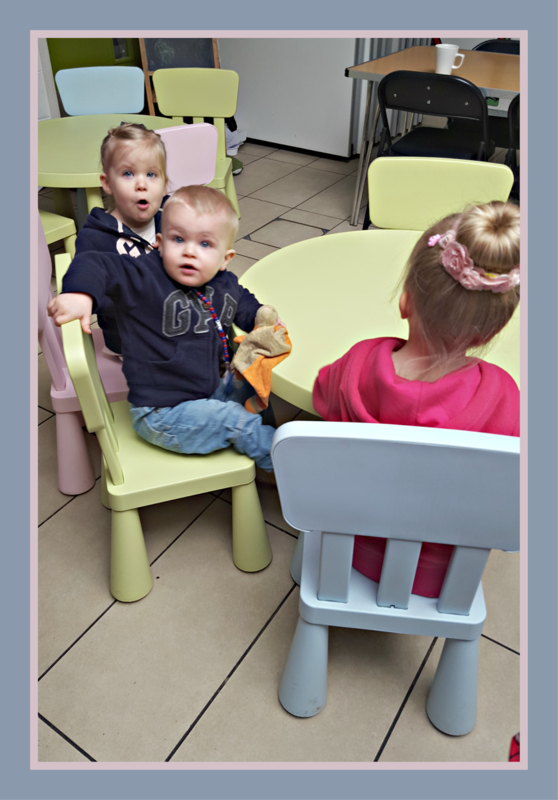 Even Plumlet got himself stuck in on the fun!! 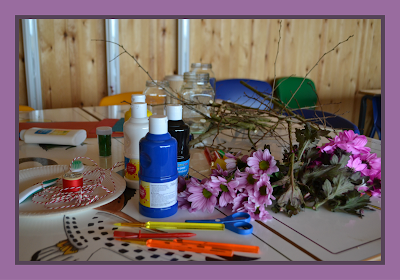 The whole time the children were crafting, Hattie was circulating, interacting with them all. 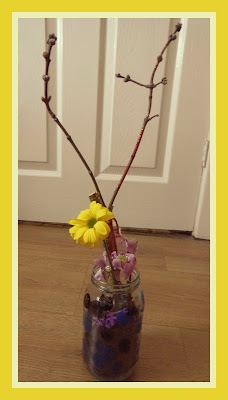 She asked what they were making and she encouraged them to add materials that they may not have considered and suggested ways of using different utensils in imaginative ways. I know for a fact that my 3 absolutely loved her! 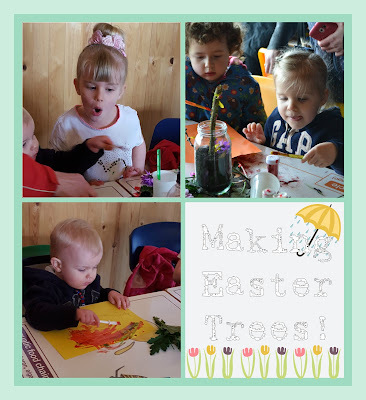 The Easter Trees are one of the many many fantastic activities included in Hattie's book, Born to be Wild. 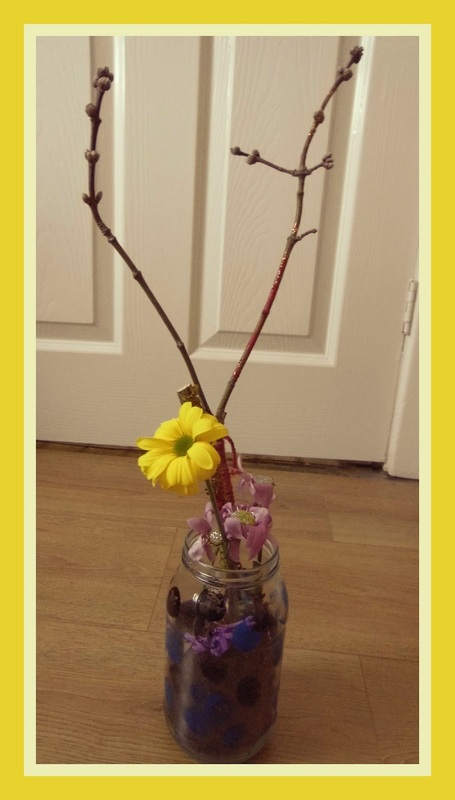 Beastie used twigs, flowers, soil, petals, glue, glitter and paint for her creation. She was able to do it independently and is extremely proud of it! 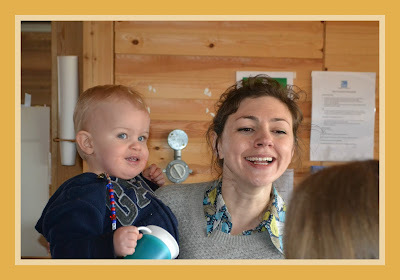 This was a wonderful day, and the children loved everything they were able to do. 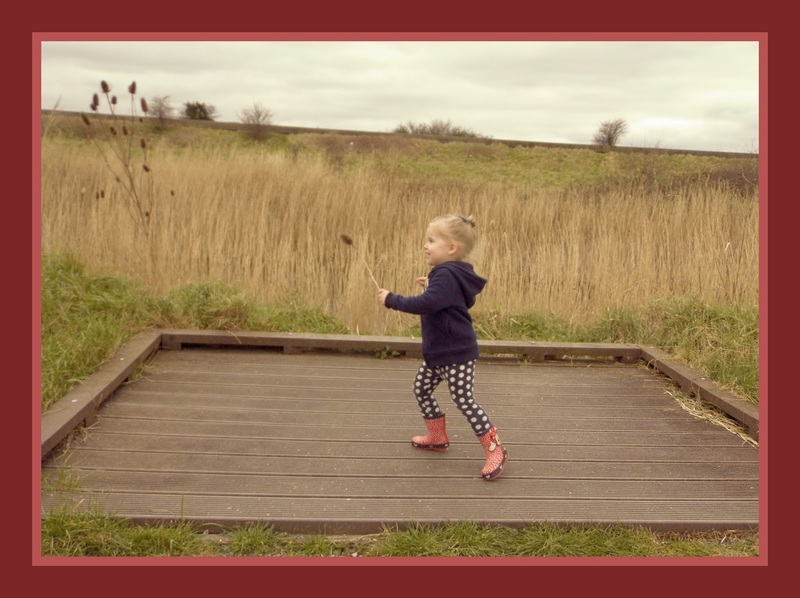 It has certainly given the girls a new appreciation for the natural world and Munch has been carefully collecting natural resources from the outdoors, ready to try out as many of the activity ideas in Hattie's book as she can! 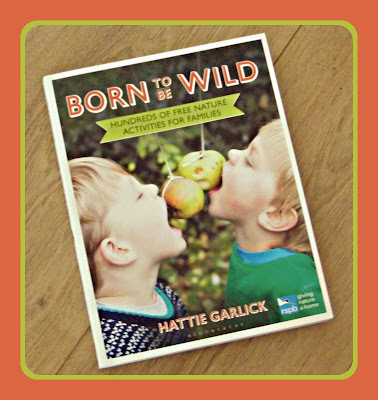 Born to be Wild by Hattie Garlick is available to buy now, and we cannot recommend it enough! We believe every family should have a copy, whether you're familiar with the great outdoors or not. 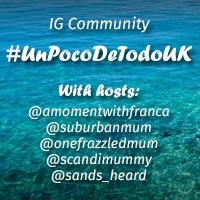 If you want some inspiration for activities that you can enjoy as a family, this is the book for you! Thank you, Hattie, for a wonderful day, and thank you to everyone at the Rainham Marshes for being so welcoming and for letting our children go wild in your wonderful wilderness full of wildlife! 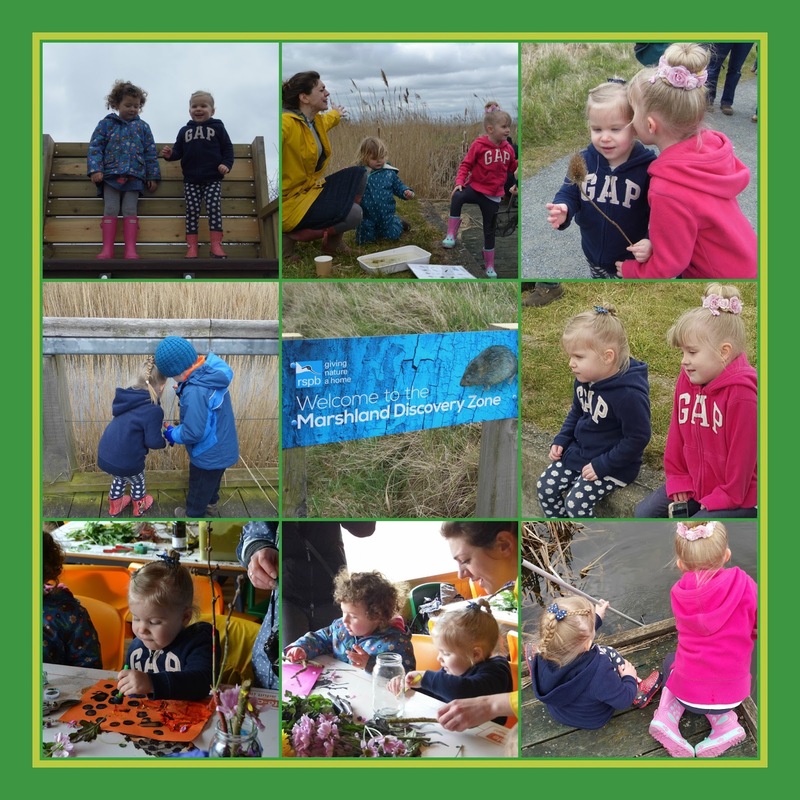 Disclaimer: We were invited as a family to the RSPB Rainham Marshes for this event and were given a copy of Born to be Wild for our enjoyment. Our words have not been influenced in any way and are 100% our own. No other payment was received for the purpose of this post.